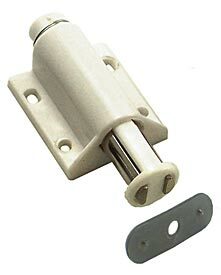 This single magnetic touch latch features a plastic case and is ideal for furniture and cabinets. Approx. pull force: 2.5 lbs. Can also be used for glass doors using glass door strikes (sold separately).